Put yourself in your customer’s shoes. You’ve spent the last hour shopping for a new pair of jeans. You’ve found a nice designer denim that looks like it was made just for you. You’ve also stumbled upon the cutest pair of boots you’ve ever seen. What a joy! Then you go to Checkout. And suddenly you have to get through dozens of required fields just to fill in your credit card info. You are bombarded with unnecessary questions. Polls, newsletters, Terms and Conditions, where-you-have-heard-from-us pile up into an impossible mess of information noise. You just wanted to buy a pair of jeans. Oh, and you also need to log in to proceed. What’s that? You forgot your password? 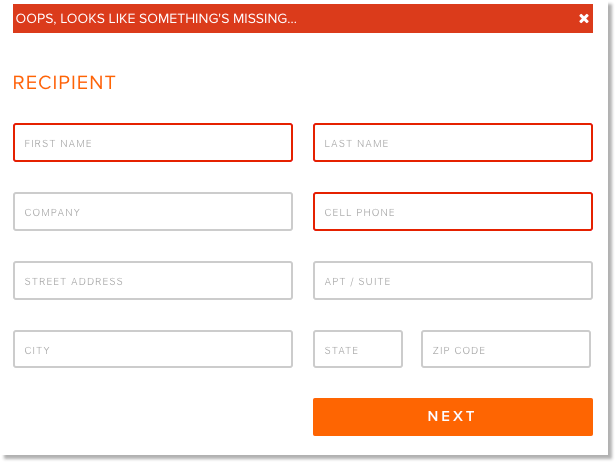 These are just some of the issues your potential customer may come across when trying to complete the checkout. According to statistics, 26% of oline buyers in the US give up the order due to a complicated checkout process. So, you won’t like the final result, we afraid. Since you’ve just lost a sale, Mr Salesman. This one shopper doesn’t care about your jeans anymore. It’s a given. Treating yourself to a new dress or browsing for a nice teapot for your grandma’s birthday should be fun. Filling in field after field of required data is work. It’s the opposite of fun. Nobody likes that. These customers are already on your website. They already want to buy. Don’t make it harder for them to spend their money. 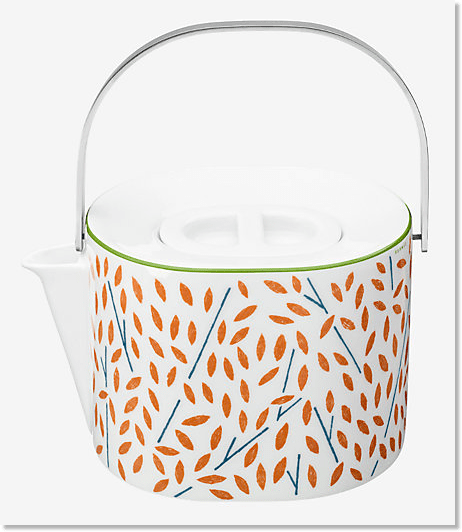 That designer teapot you just fell in love with? $935. Yeah. Sorry grandma. We’ll find you something more affordable. But it just looks so cool! Remove all the fields you don’t need to complete a purchase. 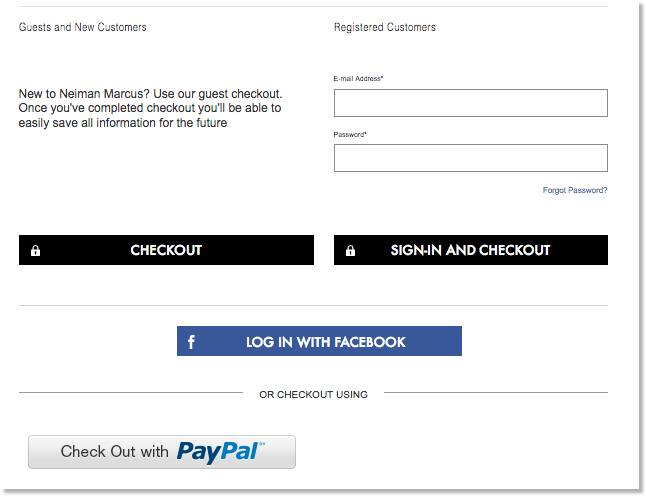 This is one of the best UX practices for the checkout forms. Seriously. Just leave those that are absolutely necessary. Ask yourself this. 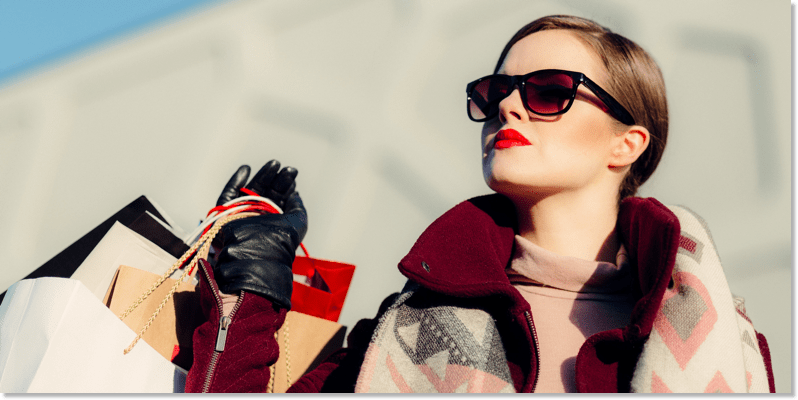 What’s more important to you – making a sale or signing up a new customer? Would you rather make more money or grow your signups count? 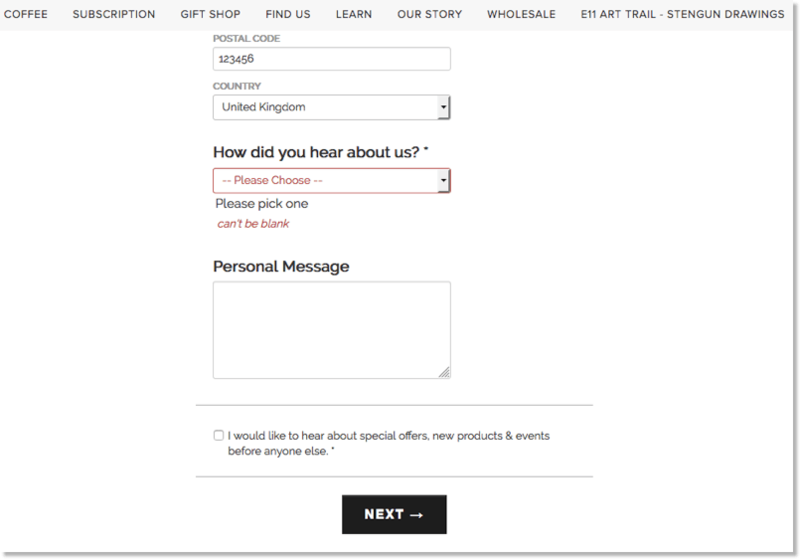 Would you mind taking a big hit to your conversion rate in order to collect more data about your customers through the Checkout page? There is a time and place for everything. When someone takes out their wallet it’s time to close the deal. Make it fast and secure, not long and boring. If you make buying from your store too much work, this is bound to reflect on your sales figures. Speed up the Checkout process. 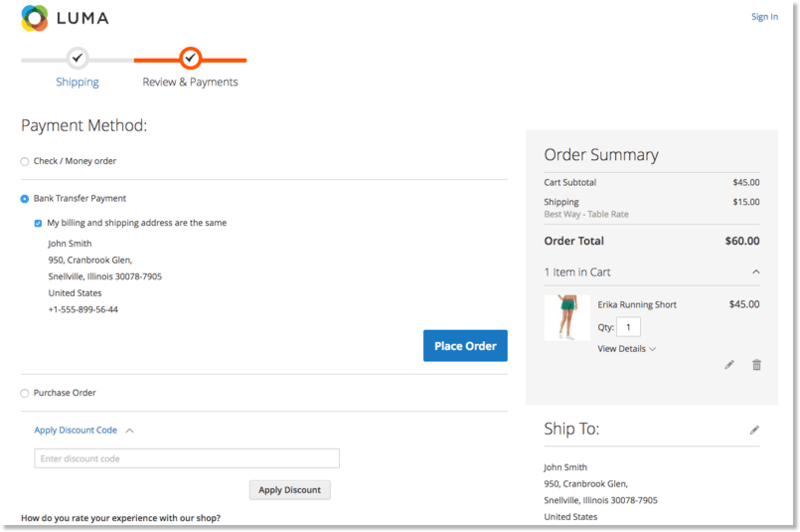 Help your customers move from Product View to Cart to Checkout faster. Why does this website need both my email and my phone number? This is rare but some stores somehow still manage to miss this simple UX feature. Mark your required fields. This hip flower delivery Checkout page does it wrong. We’d never know only 3 fields out of 9 were mandatory. Checkout is where the magic happens. While it’s fine to offer your customers other products, don’t disrupt their journey with too many distractions. 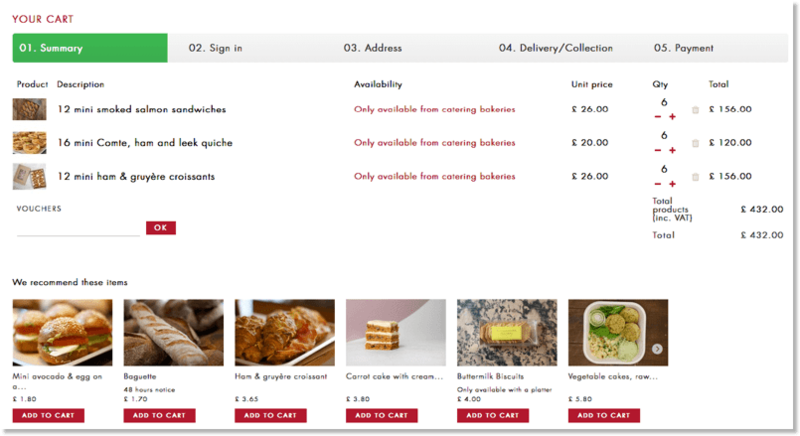 Browse the web for checkout design inspiration to come up with an appealing, yet simple checkout interface for your store. 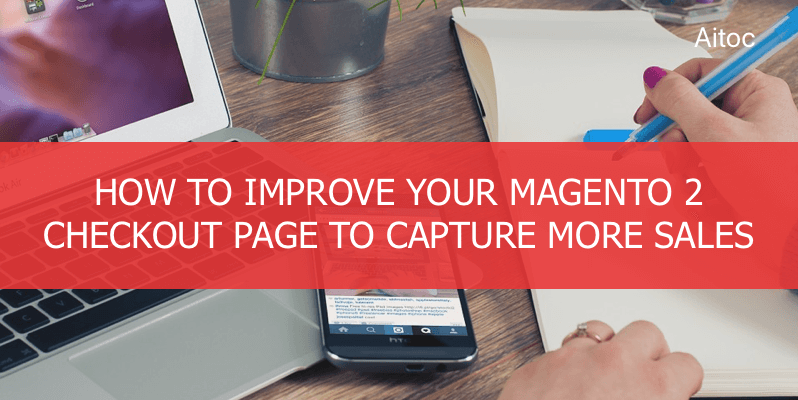 Combine your Magento 2 Cart and Checkout into a single page to speed up the sales process. Works great for retail stores that are looking for new ways to boost conversion rates. Don’t alienate your customers with inflexibility. Offer them all payment and checkout options you can. You never know how many sales you can make this way. With the introduction of GDPR regulations the repercussions of mishandling sensitive user data can be more severe than a few lost sales. Make it a priority to always handle customer data in a secure way – especially payment and shipping information. Users are not always comfortable with sharing their credit card information with unfamiliar ecommerce websites. According to Baymard, close to a third of all users abandon carts because they don’t trust the web store with their CC details. That’s why your goal is to do everything in your power to boost that trust. One of the major improvements is installing a seal. It’s easy, it’s free. And most importantly, it works. Hope this helps! 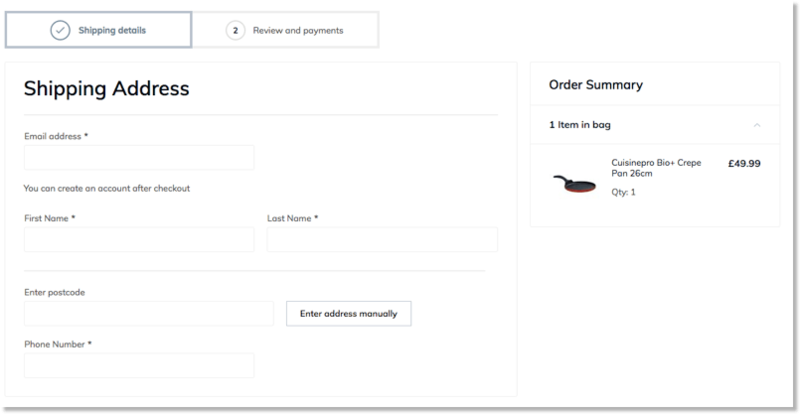 After implementing these UX improvements your Checkout page will perform much better. 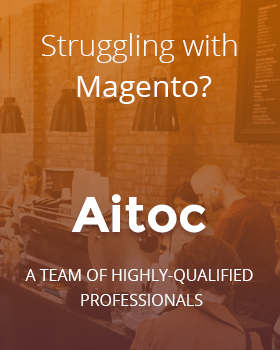 Also we’d like to mention that Aitoc team offers Checkout Fields Manager Magento 2 extension to help you customize your checkout page and implement some of the features we’ve recommended above. Check it out! Checkout Fields Manager is available for Magento 1, too.